Tim Chaffey, AiG–US, describes the “many infallible proofs” given in Scripture for the Resurrection of Jesus Christ. The first article in this series explained the importance of the Resurrection of Jesus to the Christian faith. Its centrality to Christianity is shown by the fact that believing Jesus rose from the dead is essential for salvation ( Romans 10:9 ; 1 Corinthians 15:12–21 ). So, does belief in this all-important miracle stem from blind faith or do Christians have good reasons for believing that the Resurrection was a real event in history? When we start from God’s Word, there is absolutely no legitimate way to deny the angels' words to the women who came to the tomb on that glorious morning: “ Why do you seek the living among the dead? He is not here but is risen! ” ( Luke 24:5–6 ). The Bible repeatedly affirms the bodily Resurrection of Jesus, even stating that He demonstrated it “ by many infallible proofs ” ( Acts 1:3 ). What are some of these infallible proofs? Are there any other good arguments consistent with this belief? So what are these infallible proofs of the Resurrection? Before answering that question, consider what it would take to convince you that someone was alive again after dying. Of course, the best evidence would be an opportunity to spend time with that person again—you could see him walk and talk, and you could eat with him. That’s precisely what Luke is referring to here. After being crucified, Jesus showed Himself alive by appearing to the disciples on several occasions. He walked with them, talked with them, and ate with them. In most instances, Jesus did more than just appear before people. Christ’s words in John 20:17 seem to imply that Mary Magdalene clung to Him, indicating that He could be touched. The other women worshiped Him and held Him by the feet ( Matthew 28:9 ). He broke bread in front of Cleopas and an unnamed follower ( Luke 24:30 ). He showed His scars in His hands, feet, and side and then ate fish and a honeycomb before the gathering of disciples without Thomas ( Luke 24:40–43 ; John 20:20 ). Later, with Thomas present, Jesus invited Thomas to touch His hands and His side ( John 20:26–27 ). At the Sea of Tiberias, He performed a miracle, allowing the disciples to catch 153 large fish ( John 20:6–11 ). He also cooked and ate some food ( John 20:9, 15 ). Paul claimed that Jesus had appeared to over 500 people at one time ( 1 Corinthians 15:6 ). This may be an additional appearance, or it may be the same event as the one on the hillside in Galilee ( Matthew 28:16–17 ). The report in 1 Corinthians 15 is probably the earliest extant writing about the Resurrection appearances, penned around AD 55. Paul claimed that he was writing what he had received. What was the source of the message that Paul preached? It could have been given to him directly by Jesus ( Galatians 1:12 ), although here he was probably referring to his meetings with Peter and James in Jerusalem within five years of the Crucifixion and Resurrection ( Galatians 1:18–19 ).3 Paul wrote that he went to “see Peter” ( v. 18 ). The word translated as “see” is from the root ‘ἱστορέω (historēο), which refers to inquiring for the purpose of coming to know someone or something,4 and from which we derive our English word history.5 So Paul told the Galatians that he not only received his message from Jesus, but also had it confirmed by Peter and James. Even the critical scholars acknowledge that Paul received this teaching within a few years of the death of Jesus. Some skeptics claim that the idea of the Resurrection was simply a legend that grew for several decades before being written down. 1 Corinthians 15:1–9 smashes this objection. Not only is five years much too short a time for such a legend to develop, but Paul cites a bunch of eyewitnesses “ most of whom [were] still alive ” ( 1 Corinthians 15:6, ESV ). 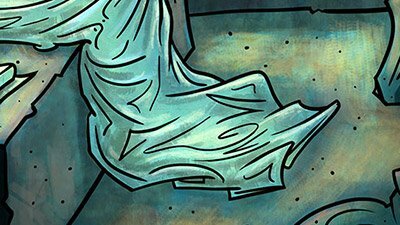 Essentially, he told the Corinthians, “Hey, if you don’t believe me, then go ask one of these guys.” The idea that the Resurrection was the product of legend will be further examined in an upcoming article in the series. In one of His debates with the Pharisees, Jesus said, “ It is also written in your law that the testimony of two men is true ” ( John 8:17 ). This oft-repeated concept refers back to Deuteronomy 19:15 —“ by the mouth of two or three witnesses the matter shall be established. ” This same idea is at the heart of the American judicial system. Witnesses appear in trials to help establish the truth of the matter. Prior to the use of modern forensic experts and recording devices, reliable eyewitnesses were essential. People believe in the historicity of many past events because of eyewitness testimony without ever seeing photographic evidence for those events. Multiple reliable eyewitnesses testified that Jesus was alive after being dead and buried. Some of these eyewitness accounts have been preserved for us in the Bible, and because this is the inspired and inerrant Word of God, Scripture is actually another infallible proof of the Christ’s Resurrection. Nevertheless, many people still refuse to believe because the hardness of their heart. Some may wonder how a proof could be called infallible when so many people refuse to believe it. 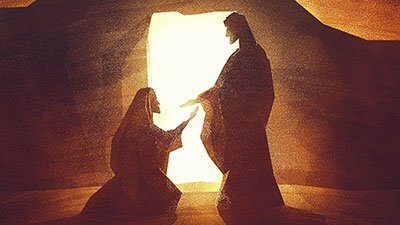 In the case of the risen Jesus, the problem was not with the evidence. After all, He was standing in front of them and could be touched and heard.8 Even today, the problem is not with the infallible proof of Scripture, nor is there a problem with the evidence from history or archaeology. The main problem is with humanity’s stubbornly rebellious heart. Jesus also spoke to this issue when talking about the rich man and Lazarus ( Luke 16:19–31 ). The rich man in Hades pleaded with Abraham in glory to send Lazarus back from the dead to warn the rich man’s brothers about the torments that awaited them if they didn’t repent. He claimed that “ if one goes to them from the dead, they will repent ” ( v. 30 ). Abraham’s response alludes to Christ’s Resurrection and illustrates the stubbornness of the sinner’s heart: “ If they do not hear Moses and the prophets, neither will they be persuaded though one rise from the dead ” ( v. 31 ). This willful rejection of the truth is well illustrated by a series of quotations from atheist philosopher Michael Martin concerning the evidence for Christ’s Resurrection. In an effort to escape the implications of the Resurrection, Martin is willing to reject one of the fundamental principles of scientific methodology: cause and effect. Instead of bowing the knee to His Creator, Martin would rather believe in a causeless effect by which, out of all the people who have ever lived, the one who just happened to come back to life for no reason at all was Jesus, the Man who had fulfilled numerous Old Testament prophecies, lived a sinless life, performed countless miracles, and predicted His own Resurrection ( Matthew 20:18–19 ). This is special pleading at its worst. Martin’s statement provides a great example of how a person usually interprets the data according to his worldview. As an atheist, Martin is prepared to believe just about anything on this matter except that God raised Jesus from the dead. When a person desires to remain in his skepticism, he will develop excuses to disbelieve the obvious. 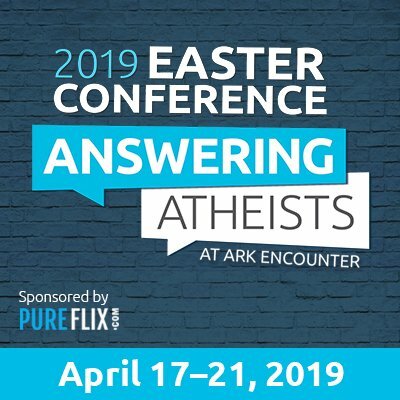 Although the Resurrection of Jesus Christ was proven by “ many infallible proofs ” and has been recorded in God’s Word, atheists like Michael Martin will continue to reject the free gift of God’s grace and cling to their irrational humanistic worldview. Christians can have the utmost confidence in the death, burial, and Resurrection of Jesus since God’s Word accurately tells us about these historical events. These central truths of the Christian faith were also witnessed by hundreds of people. Jesus was publicly executed on a Cross, buried in Joseph’s tomb ( Mark 15:42–47 ), and seen alive again by more than 500 people at the same time. The post-Resurrection appearances of Jesus are infallible proofs that He conquered death and God’s Word the infallible proof of the event in our world today. Our next article in the series will look at several other pieces of evidence related to the Resurrection, which will be followed by several articles examining many of the alternative views developed by critics and skeptics to explain away the Resurrection. By raising Jesus from the dead, God demonstrated His affirmation of Christ’s work and ministry. Since He is the only way to the Father ( John 14:6 ) and those who deny Jesus also deny the Father ( 1 John 2:23 ), it is essential that you consider what your response to Jesus will be. If you have not done so already, will you repent of your sins ( Acts 3:19; 17:30 ), “ confess with your mouth the Lord Jesus and believe in your heart that God has raised Him from the dead, ” and be saved ( Romans 10:9 )? Or will you continue in your rebellion, rejecting the only one who can save you from your sins? He is “ the resurrection and the life ” and the one who believes in Christ, though he may die, will live eternally with Him ( John 11:25 ). There is no middle ground when it comes to your relationship with God—either you belong to Him by personal faith in Jesus Christ or you do not. John B. Polhill, Acts: The New American Commentary, vol. 26 (Nashville: Broadman & Holman Publishers, 1995), 81. Walter Bauer, William F. Arndt, F. Wilbur Gingrich, and Frederick W. Danker, (BDAG) A Greek-English Lexicon of the New Testament and Other Early Christian Literature, 3rd ed., revised and edited by Frederick W. Danker (Chicago, IL: University of Chicago Press, 2001), s.v. “τεκμήριον,” 994. Another lexicon defines it as “that which causes something to be known as verified or confirmed—‘evidence, proof, convincing proof.’” Johannes P. Louw and Eugene Albert Nida, vol. 1, Greek-English Lexicon of the New Testament: Based on Semantic Domains, electronic ed. of the 2nd edition. (New York: United Bible Societies, 1996), 339. It appears only here in the Bible, but it carried similar meanings in other ancient Greek writings, such as a “sure sign or token,” a “proof,” or in the logic of Aristotle, a “demonstrative proof.” Henry George Liddell and Robert Scott, A Greek-English Lexicon, with a revised supplement 1996 (Oxford: Clarendon Press, 1843, 1996), 1768. Gary R. Habermas and Michael R. Licona, The Case for the Resurrection of Jesus (Grand Rapids, MI: Kregel Publications, 2004), 52–53. Habermas points out that even many critical scholars admit that this teaching dates to within five years of Christ’s death. Michael R. Licona, The Resurrection of Jesus: A New Historiographical Approach (Downers Grove, IL: IVP Academic, 2010), 230. It is interesting that Scripture does not provide any clear examples of people who remained in unbelief after seeing the resurrected Savior. Some people believe that Matthew 28:17 mentions a group of people who refused to believe in Jesus even after seeing Him alive again, but they are likely misunderstanding what this verse teaches. 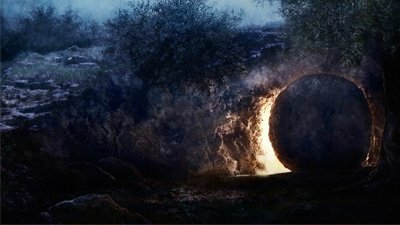 For more details, see my article, “‘But Some Doubted’: Studying an Intriguing Response to the Resurrection of Jesus” available at http://midwestapologetics.org/blog/?p=1014. It should be noted that while some people reject the infallible record (the Bible) of the infallible proofs, a study of the historical evidences for the Resurrection of Jesus has been a major factor in some people coming to faith in Christ, including apologists like C.S. Lewis, Josh McDowell, and Lee Strobel. Michael Martin, The Case Against Christianity (Philadelphia, PA: Temple University Press, 1991), 76, 87, 100, cited in Licona, The Resurrection of Jesus, 608.